Thunderball Films acquires option to produce Amazon #1 bestseller Escape from Paradise!!! ThunderBall Films is successfully putting together the film production of Escape from Paradise and has received a new LOI (Letter of Intent) from actress Bai Ling. Google searches for bai ling up 2400% recently! I refer to your query on the book "Escape from Paradise". Publications are self regulated by the industry, with importers referring them to the MDA when they are in doubt. "Escape from Paradise" has not been submitted to the MDA. Escape from Paradise - driven out of Singapore by Helen Yeo. No longer available in Singapore bookstores thanks to threats from Helen Yeo, wife of Singapore Cabinet Minister Yeo Cheow Tong. She had no court order and no legal basis for her action. Singapore's Media Development Authority (MDA) has confirmed that Singapore has NO OBJECTION to Escape from Paradise. Nevertheless, effectively banned by the whim of an influential individual, and not by the law! Thanks to the Yeos, 25 copies of Escape from Paradise has also been withdrawn from Singapore's National Library. Amazon's #1 best seller for six years in Singapore, where it was even rumored to have been banned which is NOT TRUE. This is the story of a woman's escape from an arranged marriage in Singapore. She comes from the flamboyant Tiger Balm family; her wealthy husband from Brunei with CIA connections . The difficulties May Chu encountered with corrupt lawyers and judges in Singapore made her divorce extremely difficult. This was further complicated by the wealth of her ex-husband, the owner of X10, the company behind those bothersome pop-up ads on the Internet. Then there were May Chu's parents, who, although extremely wealthy thanks to inheritance, were extremely selfish. May Chu's epileptic brother was thrown out of the family home at age 15 to live on his own -- with fatal consequences. May Chu had to work to support herself through secondary school and still managed to succeed in the toughest secondary school in Singapore, The Raffles Institution. Her parents, however, flatly refused to allow her a university education. May Chu's father was more interested in spending money on his yacht and women, while her mother contributed heavily to The Jehovah's Witnesses. The adventure takes place in Singapore, Brunei, Australia, England, and the United States, and touches on some powerful people in Singapore, as well as CIA agent Dan Arnold, and the United Kingdom's former Lord Chancellor Alexander Irvine. August 2013 - It takes a long time for the bankruptcy court to disolve a bankrupt company, especially when it owes so much to so many (over 400 people and companies), but it finally happened. From the Bankruptcy Court: "Over the last several years, X10′s management has worked diligently to operate under very difficult circumstances. Nearly two years ago, its major supplier and shareholder, X10, Ltd., filed for protection under Hong Kong Law. Not only has this stymied the Company’s ability to maintain and grow its business, but also caused disruptions while potential investors looked to purchase the Company’s stock, the single most valuable asset of X10, Ltd."
Chung Hin Chew, the man behind X10, fled Brunei for Singapore and now lives in Kuala Lumpur, Malasia. Sept 26, 2001 - X10 withdraws its IPO registration from the SEC! X10's parent company is in Hong Kong, and owned by a front in Bermuda. This was after the SEC received a copy of Escape from Paradise. An article about Escape from Paradise was published in the October 2002 issues of The Singapore Women's Weekly and The Malaysian Women's Weekly. Escape from Paradise was featured on the front page of the December 2, 2002 edition of Singapore's Today newspaper. Click to read. Now, available in Kindle and Paperback! Free Kindle if you purchase the Paperback. After buying the Paperback, go for the free Kindle! Also available from Amazon UK, Canada, China, France, Germany & Japan. All five-star reviews on Amazon! with free shipping worldwide for all books! May Chu, pictured on the cover of the book now lives in California with her husband and co-author, John Harding. John, an American, was the only westerner to be a member of Singapore's Civil Service in recent history. He was in charge of Singapore's Inland Revenue computer operation. “I read this book. I could not put it down even for a minute. C. V. Devan Nair, former President of Singapore. “It's quite a story ” The legendary Alice Mayhew, Vice-President & Editorial Director, Simon & Schuster. Glen Goei, writer and director of the Miramax film That's the Way I Like It and who played the title role opposite Anthony Hopkins in the London production of M. Butterfly. Mr. Goei's latest film is The Blue Mansion - Click for the trailer! The single best book I have read so far! “Singapore Confidential at its Best.” Barnes and Noble. “I love your book and you should continue writing. I have recommended to some friends in Beijing since I left Singapore in 2003...I am a Hakka too and what you have said about the Chungs is accurately true...I told a friend, it is like watching "The Last Emperor (your life from a super rich family) and Joy Luck Club (your marriage life)" mixed into one, Singapore version. Make it into a movie, please! “I've read your book now, and it's a gripping story. I'm glad you found the strength and support to run away. John comes across as a real knight in shining armour, and that's wonderful. Men who are decent and intelligent and interesting and capable are soooo hard to come by. The ex-husband, Hin Chew Chung, who is spending a fortune on those annoying X-10 pop-up ads your getting on the Internet. He was detained by the Brunei police for one full year. The revelations of Escape from Paradise derailed X10's NASDAQ IPO. In October 2003, X-10 lost a $4.3 million lawsuit for failure to pay, and for "bullying" a supplier. X-10 has now filed for bankruptcy! Where did Hin Chew get all the money? He probably got it from his father, Brunei tycoon, S. P. Chung. S. P.'s ranch in Australia was bigger than the entire state of Rhode Island! He even managed to attend a party with George Bush Sr. in Washington. S. P. Chung has a connection with Dan Arnold, ex-CIA Chief of Station in Thailand, now a Washington lobbyist representing Burma, and ex-campaign worker for George Bush, Sr. The Chungs had dealings with the Sultan of Brunei, who "detained" the ex-husband in Brunei for a year, while father, S. P. Chung, was on the run. "Pehin Isa, a tall, handsome, and friendly man, dressed traditionally, welcomed us into his immense house... "
The current Lord Chancellor of England, Lord Irvine was hired by ex-husband, Hin Chew, to sort things out. This was immediatly after the meeting with CIA's Dan Arnold. Derry Irvine was a Queen's Counsel then, and pal of Tony Blair & wife. Did he and pal, QC Richard Field, have CIA connections? Was Derry Irvine's firing due to revelations in Escape from Paradise? May Chu's father, Jackie Lee, was wanted by the Singapore police for fleeing Singapore, vanishing with his millions. He's an heir to the Tiger Balm fortune. He lost it all. He now lives in public housing in Singapore, and has had a leg amputated for medical reasons. Her husband, Jackie Lee, sold the family house and fled from Singapore to avoid paying his beautiful wife, Mabel, her million dollar divorce judgement. Mabel now lives in public housing in Singapore, and spends her days passing out pamphlets for the Jehovah's Witnesses. In the midst of the turmoil, on a trip to Los Angeles, out pops the "Movie Star." This is an eye opener and a must-read book. May Chu's story although it is a true story somehow it has the effects of a fictional story all because of the fascinating details, her background and all the colorful characters in her books from family members, lawyers, judges and the events that she had gone through in Singapore. Her true story is unbelievable to the extent that it could be passed off as fictional story! Yes, it is really that good. This book is full of real life amazing stories. If you have heard about Tiger Balm, find out more about the Aw family stories here. The book is full of humor too which make it not boring and reading it was like having May Chu sitting next to me telling her life stories after a good dinner. Another good thing is, the stories are not predictable unlike drama you watch on TV. Life itself is unpredictable. It also shows that the world does not operate the same way we think even more so from a tycoon family. Read this book, because one learns so much from it. A most daring truthful book that confirms long held suspicion. Most facts can be independently verified. In fact, I chanced upon this book while researching about the Singapore legal system and how our chief justice is appointed by the president on the advice of the Prime Minister. Charming. I am recent fan of your book and I must say it is probably the best non-fiction book that I have read in a long time! Ironically, I came across your book a few years ago at a MPH bookstore and considered buying it. By the time I found out the significance of the contents, it was too late, the book was banned. Your book has revealed a lot to me about the human behavior and how degenerate it can get. Not even our government can escape from the lure of unlimited power and greed. I sincerely wish the best for the both of you and please keep on informing the rest of the Singaporeans and to the World what being a Singaporean is really like. Escape From Paradise by John and May Chu Harding is an enthralling read. Written in May Chu's autobiographical voice, the reader is immediately transported into the coddled lives of incredible wealth and excess in this branch of the Haw Par family of the Tiger Balm ointment fame in Asia. It is the harrowing account of a beautiful woman's fairy tale beginnings gone awry, from her cosseted childhood in Singapore, to divorce proceedings and a timely escape from paradise. May Chu and John Harding show enormous courage amid distress in their harrowing breakaway against the electrifying intrigue of the Chung family conglomerate, with its deep reaches and bottomless pockets. This first-person recount of an incredible experience is an eye-opener for readers who have neither been as privileged, nor encountered the lop-sided legal system in Singapore in which women's rights are trampled. This book is an exposé of the betrayal committed by its dramatis personae, their personal and business foibles publicly undressed and summarily skewered with candor and sometimes with humor. No one is spared from the authors' wry description: the controversial ex-husband and in-laws, duplicitous divorce lawyers and government officials, dysfunctional family members, and their dealings with the authors and in the business world spanning the globe are recounted with refreshing honesty, courage, and some outrage. May Chu is a detailed observer of people and their personalities, possessed of a keen mind and a sharp wit. Her voice clearly articulates the events of her day. She has spent years preparing to write this book and it is an indictment of the frailties of her family, of the spurious source of wealth resulting from under-the-radar business practices, of the failure of the legal machinery to adequately protect the rights of Singaporean women in the divorce court. The narrative in Escape From Paradise flows seamlessly, events are described with clarity, proof is provided where possible in photographs and document excerpts, and the entire book is handily sewn together in John Harding's skillful prose. May Chu and John Harding tell the truth as they experienced it, and let the chips fall where they may. I don't understand why your book Escape from Paradise is banned in Singapore? The world knows about the death sentence and the chewing gum, for Pete’s sake. I love your no holds bar book! I love your book and you should continue writing. I have recommended to some friends in Beijing since I left Singapore in 2003...I am a Hakka too and what you have said about the Chungs is accurately true...I told a friend, it is like watching "The Last Emperor (your life from a super-rich family) and Joy Luck Club (your marriage life)" mixed into one, Singapore version. Make it into a movie, please! I've read your book now, and it's a gripping story. I'm glad you found the strength and support to run away. John comes across as a real knight in shining armor, and that's wonderful. Men who are decent and intelligent and interesting and capable are soooo hard to come by. I just received your book by courier shortly after 8pm 28 Mar 02 Singapore time. My wife took one look at the back, flipped the first few pages -- and announced she must read it! I think this will be an unique book in Singapore, with hardly any precedent. I can't wait to read it. You must have lived a fascinating life! Many, many thanks for the book. And the invitation to share in your life gratuitously, which it represents. At long last I managed to pick up your book and finished it within a few days. It certainly was very interesting. Gosh! I did'nt realise how hard your life was and the patient and guts you have. I think God must have sent John to assist you. I am so glad you are free from that tyrant. I remember Joan Lai (she was such a pretty, sweet and lovely girl) and of course, Dennis D'Kohtek (that's what we called him) and what I didn’t know was that he was once your BF. I remember your Dad. He was a fun guy to be around whenever sobered but when he had one too may drinks; bang! He had this so called "bodyguard" by the name of Robert who was always around him; sort of serving, protecting and providing his needs and fancies. I sincerely hope you will be able to locate him one day. Probably he is somewhere in a secluded island surrounded by good friends and having a good rest and fun. Geoff is wanting to read your book - if he ever finds the time! One day he will and I am sure he will enjoy reading it too. Congratulation for the well written book - it's certainly hard to put it down when you got started! Thank you so much putting this absolutely devastating piece of work. I was fighting hard between my work day, studies and project work just to find every conceivable moment to escape into your world. I was driving down the streets and just could not stop imagining you fleeting from apartment to car with bags in tow...ahahah brilliant simply brilliant. Read ˜Escape from Paradise in a week and I simply love the story! It really inspired me to seek the illusive ˜paradise” everyone looks for in Singapore but unable to find. My regards to you and your wife for the courage to tell the truth. Hopefully soon I too can escape from the false paradise that I was forced to believe! I read your book 6 years ago - borrowed it from the NLB [Singapore's National Library]. I think I was the last one to return before they froze all loans on the book and was very impressed with the quality of the writing, as well as the light that it shone on the collusion between the politically connected and the rich in Singapore. She was touted as an activist for the rights of women but her ethics as a divorce lawyer swing the other way. I must tell you that I think you have done a terrific job with the book. It should rightly stand as a respected literary work by a true blue born and bred Singaporean author (albeit co-authored by an American, but still). I have no doubt that May Chu should have been proudly recognized, and possessively lauded, as a Singaporean talent for her refreshing, enlightening and astute insights and viewpoints. But as they say, the truth hurts, even more so for thin skinned Singaporeans! The purpose of this email to commend you, the authors for a well written book it is an excellent job done. As a Singaporean, I strongly identified with your book because it was so real to me. Never have I felt that level of connection with any other book. I was rivetted from the start to the finish. Your book held my attention captive and for me it falls into the category of books which are "unputdownable". I will be telling my friends to buy your book. I note that your book was published in 2001. So, with this fan-mail it will be noted that 7 years after its publication, and despite attempts to ban its distribution in Singapore, you are still getting commendation from Singapore for your book. Dear Lord, to find that your leader worked for the opposition!!!...... while citizens and families made countless sacrifices is unconscionable!!. I can well imagine the citizenry will do more to LKY than hang him in effigy. I feel sorry for all those who sacrificed thinking they were doing the right thing.......it puts a lie to the foundation. So Sad all. That outrageous behavior will be showcased over and over again as your book gives a documented basis to long suffering people. His days are numbered. Your book is growing feet, hands, mind, etc of its own. It will go places you don't even realize yet. Keep up all the good work .... You may end up a national figure yet! Can I ask if you are writing another book about your family? I couldn't get enough of your first book. Can you please write another few books about you and your family life and I would not hesitate to buy all of them. 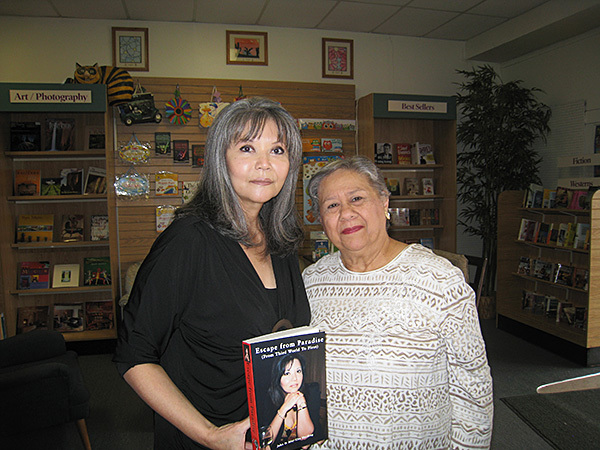 If your story is made into a movie like Joy Luck Club, it could net millions in the opening season. Da Vinci Code has made close to 15 million already. Titanic made 45 million! Your story definitely has entertaining and historical value! When a great granddaughter of a famous tycoon of S-E Asia like Aw Boon Par/Haw has a story of intrigue and human passion, movie goers will want to know about it! Your movie will have audience in China, Burma, Thailand, Malaysia and Indonesia, where the setting is not to say the millions of audiences in the English-speaking world! Inadvertently in her account of how her parents' twin bungalows were disposed of, she brought bad light on the Singapore legal system, including Judges and all. Ms. Helen Yeo (wife of Minister Yeo Cheow Tong) was mentioned. They threatened to sue and also stopped the sale of this book in Singapore? ...In my humble opinion, it is great stuff, suitable even for a mini-series from Hollywood as it is too long for a standard movie. It's got all the makings of a classic! Conspiracy, money laundering, family quarrels, jealousy, hate, love, divorce, death, legal matters, CIA, Prince Jeffry of Brunei, Tax evasion, disinheritance and most of all a woman scorned! May Chu, the great granddaughter of the Tiger Balm King described her childhood life and her marriage life. Her experience with the traditional Chinese family and the legal system in Singapore. I highly recommend this book to everyone, especially women who are interested to learn more about woman's rights. I got the book from Amazon, and immediately got interested from the opening pages and could not start sleeping, then in a matter of few days, finished reading the book. I got fascinated with the stories, because of too many reasons. I could feel Singapore, Tiger Balm families, May Chu, Hin Chew, John, Shangri-La Hotel and etc., etc. interested me too much. I feel I understand the reason you cannot find the book in Singapore. The World's #1 breeder of Bengal Cats, Louisiana, August 21, 2003. 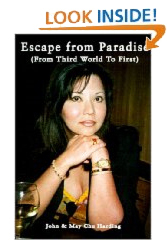 The book Escape From Paradise has been selected as Amazon.com's bestselling book among its Singapore customers for the past few months. It is written by May Chu and John Harding and is about the life of a great granddaughter of the Haw Par family who founded Tiger Balm. The Book Reader had this to say of the book: "Americans have a saying: luck is a lady. And this lady and her subsequent husband have written a somber, very human tale of a woman's remarkable journey". Barnes and Noble called the book "Singapore Confidential at its best". Though the book chronicles Harding's escape from Singapore, in no part of the book does she explicitly oppose the rules and forces that keep her helpless. For example, she acknowledges with no resentment the fact that "to make it in Singapore, you need the right schools, and, of course, the right connections. When you reach voting age, you'd better have the right politics too", worrying in a very politically-incorrect way about "having to transfer [her elder son] Marc out of his top-rated school to a lesser one, attended by the have-nots, in one of the 'less fortunate' parts of Singapore, where most of the children are dead at birth, so far as their chances in Singapore are concerned." So, it is clear what she is fighting for is any threat to her own survival in those conditions. Harding writes that when she was a child, "I always worked with what I had." This summarizes her strategy to escape the vulnerability of her position and get the advantages she knew she needed. Little sentiment is manifested; she describes herself breaking down in tears only once. In almost every word there is an incredibly Singaporean, occasionally abrasive pragmatism towards everything (including her eventual husband John Harding) as she analyses the maneuverings of those around her and plans her own moves to get out of her marriage with the acumen of a military strategist. However, she never forgets the ordinary routines; even at the tensest stage of the divorce procedure she is able to add a half-page explanation of how she discovered the benefits of using a dryer. Her pragmatism is mingled with the petulance of a rich tai-tai as events develop and her losses begin to loom over her. Leaving her Mount Rosie Road home becomes "a tremendous loss of face. It would have been for any Singaporean"; she worries about things like how to “. explain to [her younger son Warren, an eleven-year-old, that his tennis lessons had stopped, and we could no longer go to the Tanglin Club." Hence Escape from Paradise has a very laundry-list feel; one can sense Harding furiously scribbling down every single detail of her experiences regardless of their significance to the main narrative. As a result, there are several gems among the jumble. Harding juxtaposes her tons of legalese with occasional banality and hard-hitting social comments, such as: "In Asia, money means more than just money. In Asia, money is the messenger of respect, of caring, even of love. This is something that is not well understood in the West, where money is more or less one-dimensional, and far less important or interesting." Ironically, the astuteness and mental agility Harding displays in battling her powerful opponents throughout is exactly what Singaporean society values. In the first chapter, she declares that "[her] character had been formed in the presence of my own family's exuberance, flamboyance and flaunting [sic] of convention. I learned when to choose which way to go. I was Chinese, and I was Western - it all depended what I wanted." Exactly how our government wants Singaporeans to be, was my first thought. Escape from Paradise is an account of the main desires of Singaporeans (i.e. money, power and comfort) taken to their logical conclusions by families which have long passed the immigrant's craving for security into the insanity of Mammon. The infighting, crime and insatiable greed of the Chungs and other power players (including an ex-CIA agent and a British QC) populating the book shows that there are no longer any principles of humanity or emotional bonds taking precedence over uncontrollable self-interest. Thus, this book is one more sign certain assumptions in the minds of most Singaporeans about happiness, success and what makes life worth living badly need to be questioned before there is no escape for both the poor and rich. Just finished reading your book. Excellent read and wonderfully written. I really sympathize with May Chu. 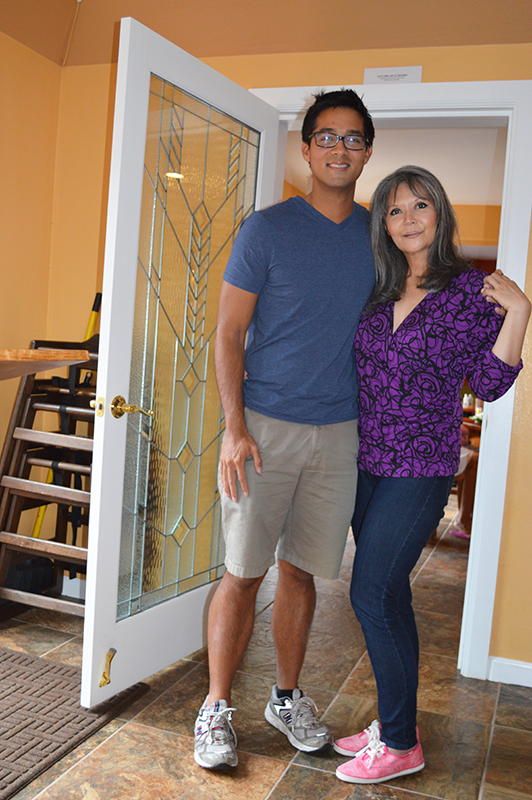 Being a Singaporean myself, now living in Milwaukee, Wisconsin, my wife and I are glad that we too have left the restricting confines of Singapore. Initially, my wife was a true-blue Singaporean, PAP supporter (read apathetic).